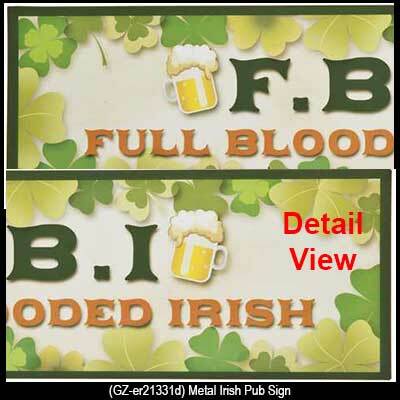 This colorful metal Irish Bar or Home Pub Sign with shamrocks, clovers and pints of beer reads, F.B.I. Full Blooded Irish. 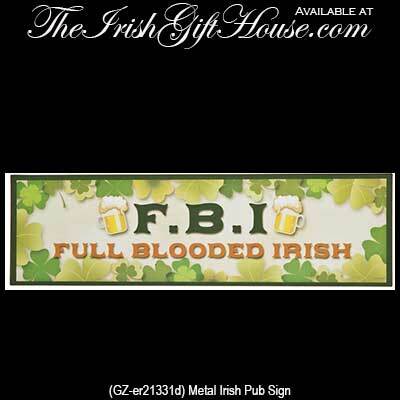 Decorate your Irish pub or home bar with this colorful metal sign that has shamrocks, clovers and mugs of beer. This ready to hang Irish gift measures 6” x 20”.